The aphorism says: "A picture speaks s thousand words", therefore studying the symbolism of armed organisations can throw light on the ideology of armed organisations as well as make the political course and fighting tactics more evident. This book is a guide to the symbolism of armed non-governmental organisations, including terrorists, partisans, separatists, self-defence squads, militias, armed sects, umbrella organisations and also political parties and movements closely tied to armed organisations. The book contains a total of 400 organisations from 90 countries and almost 800 symbols. There are symbols of organisations from a hundred years ago, as well as modern ones. The knowledge of symbolism will allow quick and easy identification of propagandist and program materials of different weaponed movements. 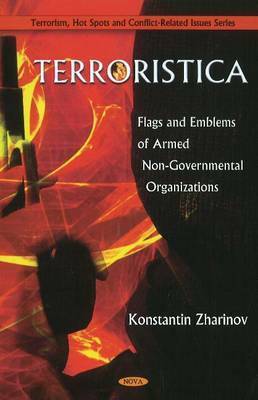 Today, despite lots of literature about terrorism, symbolism and armoury, a complete book about the symbols of terrorism and weaponed movements has not been written.